Ratoath Tennis Club are committed to providing a family friendly environment for players of all ages and abilities and provide them with the opportunities to further improve their potential as players. The Club will be actively involved in the promotion of fitness, mental well-being and encourage player respect among it’s members and in the community as a whole. A key factor in the development of players, especially junior players, is the provision of a comprehensive coaching programme. To bring players through from Beginner to Advanced levels means implementing a Common Integrated Approach Pathway. 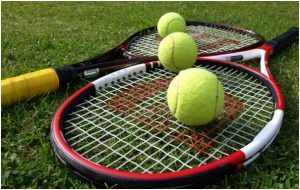 This pathway develops the technical, physical and tactical tennis skills players require to reach the best of their abilities and nurtures a healthy competitive approach to sport. Above all else the Club want to encourage the enjoyable and fun side of playing a sport. This is seen as paramount to the success of any sporting club. To provide for a progressive and multi-faceted coaching programme Ratoath Tennis Club have established a Coaching Committee with a Coaching Co-ordinator to oversee and manage the coaching structure of the Club. The Coaching Committee will be responsible for implementing the Club Coaching Programme and managing the coaching requirements of the Club and it’s members. part in junior group coaching programmes. We hope to have our Advanced Coaching Programme in place after Easter – please watch this space for updates.